Welcome to Heritage Gate, a beautiful complex of townhouse style apartments. 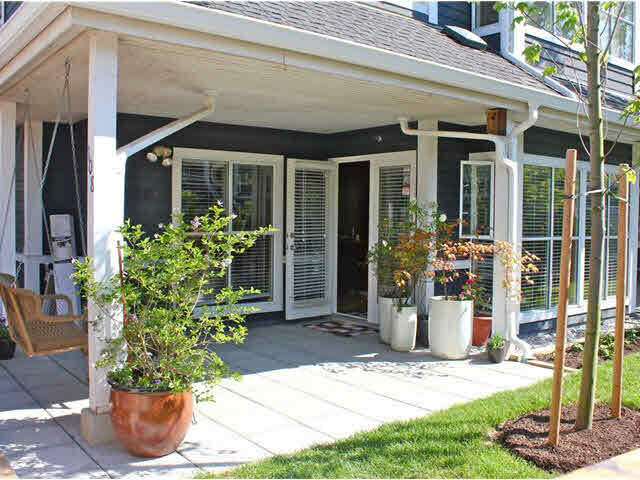 This ground level home has a large covered patio adjoining a lawn and garden area. The layout is excellent with generous room sizes, an open kitchen and lots of storage. Other features include insuite laundry and a gas fireplace. The suite comes with a parking spot in the garage as well as a storage locker. The location is very convenient to parks, transit and other services. The complex is well maintained and has just completed an upgrade to the garage membrane, fencing and landscape. Your pet is welcome. Measurements and size are approx and should be verified by a buyer. Easy to show by appt. Also open Sat July 4th from 2 to 4.